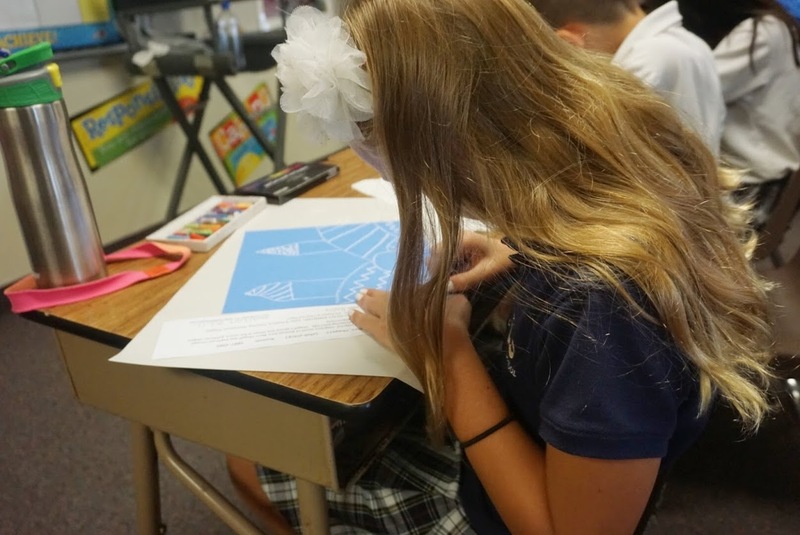 At Friends Christian School, Students are encouraged to express their creativity through visual arts projects from preschool through 8th grade. Preschool classroom teachers incorporate creative artistic expression throughout their curriculum. Seventh through eighth grade students have the opportunity to take an Advanced Art elective. Elementary School students explore the visual arts through the Meet the Masters art program where students learn about a different artist each month during an assembly. The week following the assembly, students participate in an art lesson taught by parent volunteers who have been trained by Meet the Masters. The lessons utilize a variety of media and provide the opportunity for students to create an art piece in a similar genre as the artist they studied. On each campus, the curriculum focuses on further mediums and techniques, in order to boost students’ creative skills to a higher level.